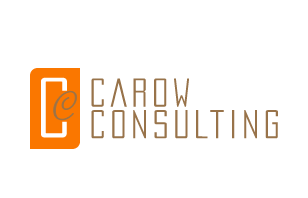 Carow Consulting knows how important keeping current with industry trends and healthcare best practice guidelines are in developing and maintaining high performance. Listed here are conferences and events that may be of interest to you or your colleagues. Provides an overview of the economic impact on hospitals during the recession and projections of future outcomes. Identifies six concepts related to strategy that make a critical difference to capital market decision makers. Provides an overview of the strategic and financial planning process and links organizational priorities to resource deployment. Outlines the key attributes, through case study examples, of the disciplined planning process at three organizations - leadership-team involvement; a data-driven approach with real-time tools; structured idea generation and decision-making; and target setting and monitoring. Details methodology for identifying and prioritizing opportunities for financial improvement, which provide the greatest opportunity for long-term benefits. This is an older article, but the principles remain applicable. Describes the results and study methodology that indicates that there is a positive correlation between positive financial performance and having a strategic plan, assigning responsibility to the CEO, and involving the Board of Directors. Effective strategies for building strong hospital and medical staff relationships. ACCOUNTABLE CARE ORGANIZATIONS: THE NEW PROVIDER MODEL? Provides a good description of an accountable care organization (ACO) and identifies one possible strategy to control health care costs: rewarding providers for coordinating services and achieving quality outcomes by providing population-based care. Presents opinions and recommendations in favor of ACOs on successful arrangements that tout this structure as a step toward better health care at a lower cost, rather than volume-driven payments. Detailed article discussing the need for a physician alignment strategy, a description of the various models, and the degree of integration. Describes two models implemented by high performing health systems to increase physician alignment: the clinical and the hospital-based group practice models. Presents three potential physician alignment strategies that are viable in a financial crisis: physician employment, professional service agreements, and income guarantees. Provides strategic, regulatory, financial, and implementation considerations under each option. Describes different opportunities for business growth and expansion and how each can be achieved through various physician arrangements. Older article that has many relevant tips on facilitating physician alignment, identifying common goals and financial opportunities, and recommending operational changes. Provides detailed description of current hospital-physician relations; changes occurring in the market; the integrated medical staff model; the role of clinical integration through EMRs; benefits to the hospital, physician, patients and community; and how Senior Management and the Board can migrate to such models. Outlines formulas for four basic physician compensation models tied to productivity incentives. Older article, but provides good description of current physician productivity measurement strategies, uses for physician productivity, variables that impact physician productivity, and what these strategies may look like in the future. Discusses the items to consider in acquiring physician groups. Identifies the common characteristics in practice acquisitions; outlines the trends driving the changes; and discusses the post-merger details, such as employment contracts, compensation structures, and governance and legal issues. Describes general overview of physician succession planning, from recruitment to retirement, including practice valuation. Provides tips on the size, space, layout, and design of your outpatient clinic based on service needs and offerings. Provides a detailed description of self-referral guidelines for designated health services for physicians and groups under Stark Law. Provides support for hospital-affiliated urgent care centers to reduce ED overcrowding, capturing new business, and retaining patients. Introduces the Medical Home Model accreditation process through the Accreditation Association for Ambulatory Health Care, Inc. The on-site assessment involves looking at the quality of care provided, assessing perceptions and satisfaction, and reviewing medical records from the perspective of the patient. Discusses successes and journey of a tribally run ambulatory care clinic in Southern California in implementing the medical home model to engage patients and better manage chronic disease. Describes how implementing EHRs in a network of New York clinics, to promote equitable access to high quality care to a socially and culturally diverse population, must also be coupled with community interventions to eliminate health care disparities. Brief article discussing patients’ experiences with different urgent care models. Discusses the early experiences of one of ten large physician groups selected to participate in Medicare’s three-year pay-for-performance initiative to test how payment options promote greater coordination of care, more efficient service delivery, and improved health outcomes. Summarizes items to consider when opening an urgent care center. Provides background on urgent care centers in the United States - highlighting developments and trends; and exploring key issues and questions; related to their prospects for the future. Specific details are provided on California-based urgent care centers. Interview with the Geisinger Health System offering advice on delivering a better care experience while controlling costs through the medical home model. Indicates that the original intent of introducing HCAHPS scores, to give patients more information to choose and select their care, is not being utilized. However the less intended outcome, which was to encourage hospitals to enhance care, is occurring. 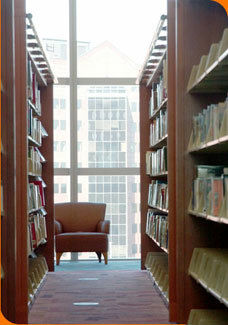 Discusses outcome of an employee and patient satisfaction survey at a major New York City hospital. Results showed a correlation between employee satisfaction and patient satisfaction and the quality of care provided. HOW SHOULD WE MEASURE PATIENT SATISFACTION? Outlines process of measuring patient satisfaction based on qualitative and quantitative measures to uncover service expectations and perceptions. Provides basic overview of patient satisfaction survey design. Discusses the crucial link between employee and customer satisfaction and how this leads to improved patient outcomes, lower labor costs, and increased referrals. Describes how service plays a greater role in patients’ selection and retention of health care, since it is difficult for patients to evaluate quality, resulting in the need to establish service standards to improve satisfaction scores. Indicates that higher physician satisfaction ratings, among non-Medicare patients, have a higher correlation with increased time spent with the physician and shorter wait times. Describes Mayo Clinic principles to promote physician satisfaction and work-life balance. Provides three different examples to describe how increases in patient satisfaction occurred due to improving patient flow and bed management at the hospital-wide level. Describes a methodology to evaluate and prioritize service line investments to focus on profitability and cultural buy-in. Outlines assessment process for determining the feasibility of creating a center of excellence: forecasting demographics, identifying service lines, calculating use rates, evaluating market trends and share, conducting a financial review, and formulating a plan. Older article, but remains relevant. CREATING COMPETITIVE ADVANTAGE: PRODUCT DEVELOPMENT: TAKE A LOOK AT THE FOLLOWING HEALTHCARE ORGANIZATIONS THAT ARE EXPERIENCING GROWTH AND FINANCIAL RETURN BECAUSE THEY KNOW WHAT PRODUCT LINES ARE PROFITABLE FOR THEM TO CULTIVATE. CAN YOU SAY THE SAME THING ABOUT YOUR ORGANIZATION? Describes the product development process incorporating technology reviews, market needs, financial feasibility, return on investment and payback period. Explains the service line process, discusses the various applications and purpose of service line analytics, outlines the typical metrics, and how to analyze performance from a variety of perspectives. Brief article discussing increasing need to compile management metrics from multiple systems and sources. Discusses the process of establishing key performance indicators across the organization, setting baselines, and then agreeing to manage according to the scorecard. Discusses the use of performance dashboards including key features, critical alerts, customization capabilities, and addressing the needs of different audiences. Discusses the structure for implementing quality improvement initiatives, through executive leadership, culture, organizational design, incentive structures, and information management and technology. This article is focused on quality improvement initiatives at the enterprise and service line level. Marketing study evaluating the current status of the healthcare marketing profession with comparisons to previous State of the Art studies in order to understand the ongoing evolution and growth of the profession. Provides a valuable approach to measuring and tracking marketing performance through investments, objectives, and engagements. ROI: HOW DO HEALTHCARE MARKETERS MEASURE UP? Highlights key findings from the McKinsey and Company Survey Results related to ROI and marketing practices at consumer versus health care companies. Discusses health care marketing mistakes to avoid and tactics to execute upon in a poor economy. Provides additional tips on how health care organizations should approach marketing in a recession. Reflects second annual Deloitte Center for Health Solutions’ consumer survey results regarding wellness/healthy living, consumer decision making, health services provided, complementary medicine, insurance coverage/financial considerations, and health care reform. Describes the unique requirements of urgent care advertising and provides helpful tips. Touts the benefits of customer relationship software to drive customer traffic, target marketing, and identify profit centers. Outlines the benefits and the challenges to overcome in utilizing customer relationship software in the health care environment. Discusses how major retail chains are capitalizing on convenience and price to treat minor ailments. Provides a detailed description of the focus group process and how to conduct and analyze it, an older article, but a good one. Copyright 2011 Carow Consulting, Inc. All rights reserved.